Scale: 1:24. 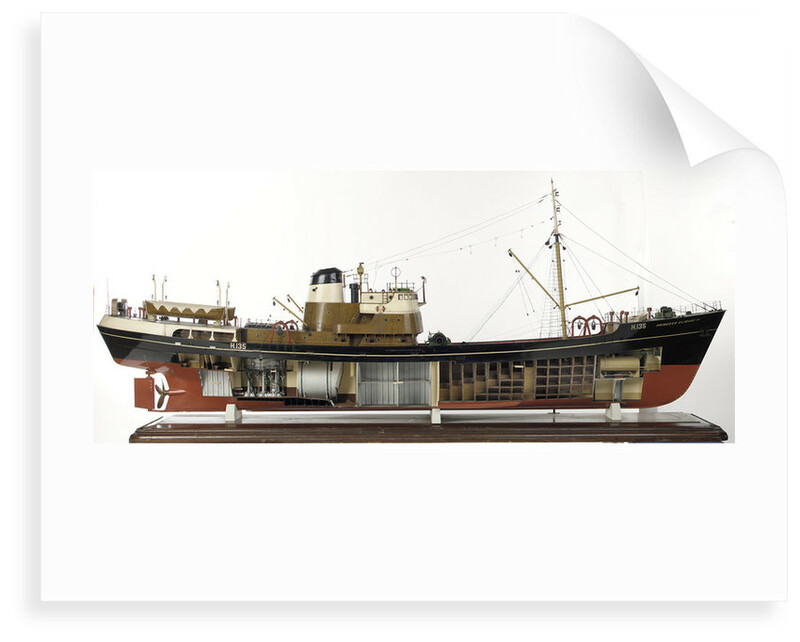 Builder's full hull model of the single screw trawler 'Princess Elizabeth' (1950). The model is decked, equipped and rigged. 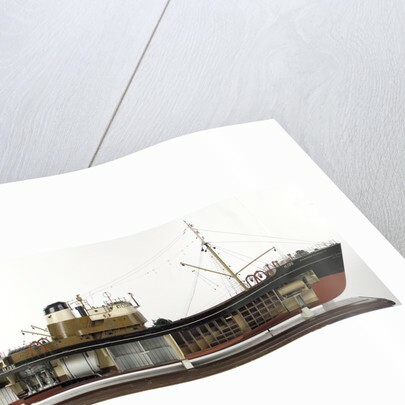 The hull is cutaway on the starboard side to show the fish holds, storerooms and engines. 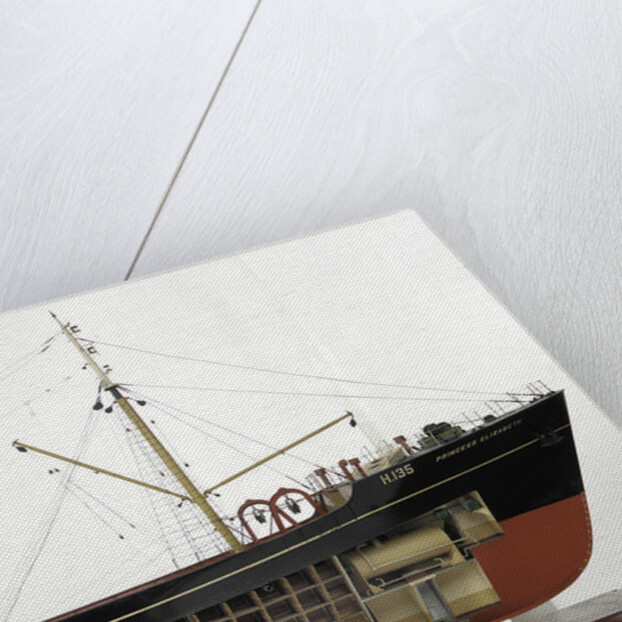 The model is inscribed with 'Princess Elizabeth H135' on the port and starboard bows, 'H135' on the port and starboard stern quarters and funnel and 'Princess Elizabeth Hull' on the stern counter.